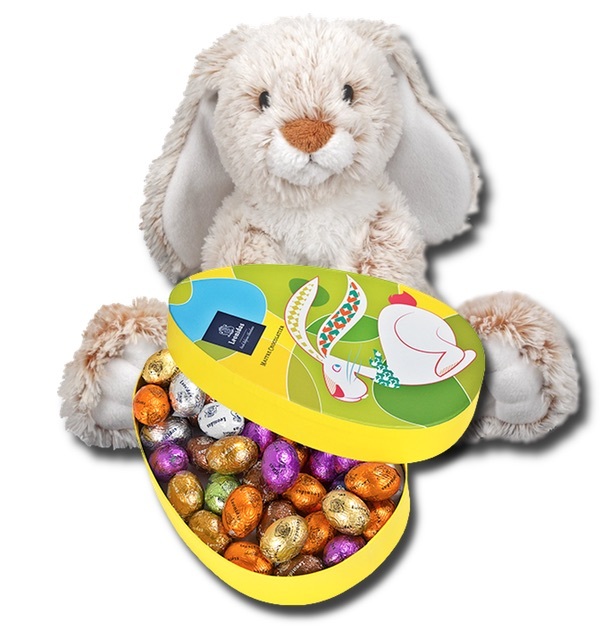 Surprise your loved ones with an Easter gift and a cuddly toy. 28 (300g) chocolate Easter eggs, wrapped in fresh spring colours, in a colourful Easter themed box. The chocolates are brought by a cute Easter bunny.